A Water Cycle Management Study was prepared for a proposed prayer hall and cemetry with on-site wastewater management facilities. 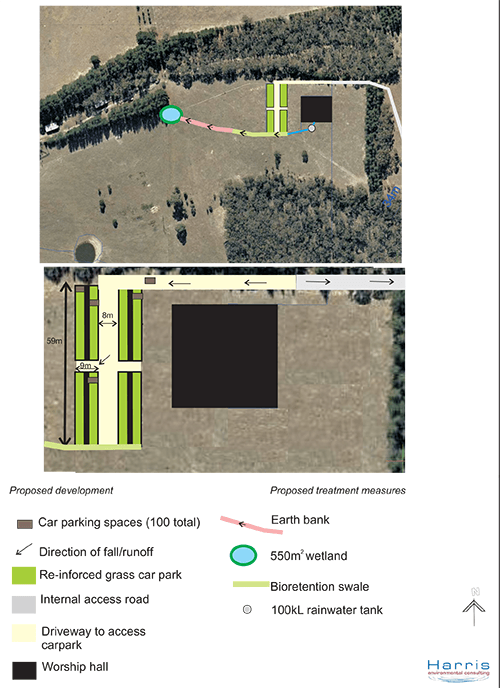 The stormwater management from the proposed access road, consideration for the long-term life of the cemetry, the soil characteristics, the permability of the soil for burial and appropriate buffer distances all had to be considered. We also had to take into account the no. of people who would visit the site in one go that would require on-site facilities.